If you have an existing masonry fireplace but want something new that provides efficiency and heat, getting a new fireplace insert could be just the ticket. In this case, a full insert is slid into your existing masonry firebox and a venting liner is run down the existing flue. These units can be either gas or wood burning systems. 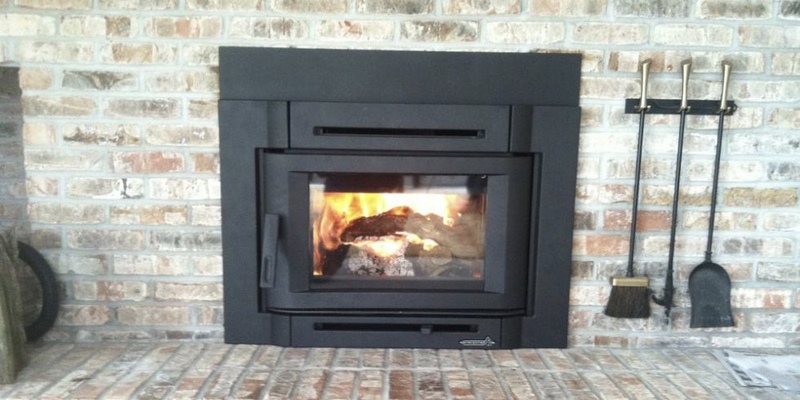 Gas fireplace inserts combined the ease of a gas log with the efficiency of a direct vent fireplace. These units come in various sizes to fit your firebox and also have many styles of media available. If you would like to continue to burn wood in your masonry fireplace, a wood burning insert can provide better efficiency and heat. These units use new stainless steel liners and have gasketed doors to create a sealed system.